According to Morozov authoritarian regimes are benefiting from the Internet more than we may think. In the book he claims that the Internet and online communication technologies are often used by authoritarian regimes to monitor and regulate potential threats to authoritarian regimes. By blogging, twittering and using Facebook people give these dictatorships endless amounts of useful information for free. Next to that these regimes are training, hiring and paying bloggers to engage with people on this online platforms and communities. Spreading propaganda and monitoring your protesting civilians was never so easy and low of costs. Moreover Morozov tackles the idea that the Internet would make citizens of authoritarian states more critical and informed about their country. Morozov states, “The most popular Internet searches on Russian search engines are not for ‘what is democracy?’ or ‘how to protect human rights’ but for ‘what is love?’ and ‘how to lose weight.’ ” In this way the Internet is functioning as opium for the masses and is numbing and dumbing their users down. 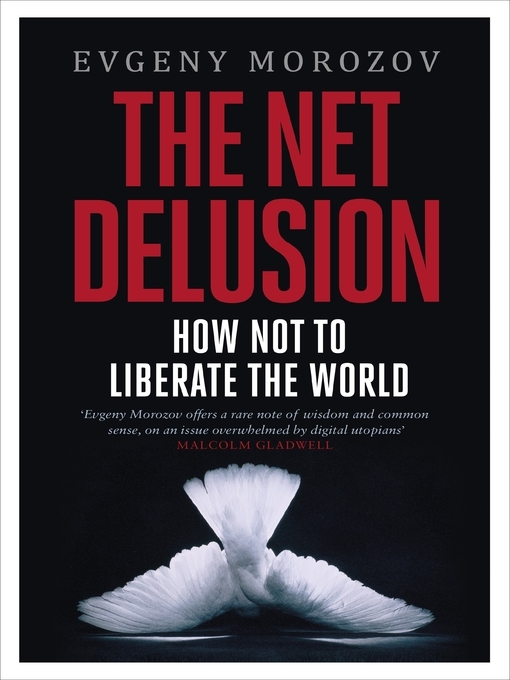 The Net Delusion is a well-written book that is a good read to everyone that wants to hear something else than the hyped voice of the media. Morozov clearly exemplifies his findings with cases taken from all over the world. Moreover Morozov places phenomena like internet-centrism and cyber-utopianism in a broader, historical context. With examples taken from the past he shows his readers that technological determinism isn’t a twenty-first century symptom but something that can be found throughout history. Next to that Morozov’s appealing style of writing makes The Net Delusion one of my favourite books of I’ve read this year. Today Morozov will be featured on VPRO’s Tegenlicht (Dutch television): http://bit.ly/niZuut 21:00, Nederland 2.